Arm Rotating Mixer Muller Machine is Having Machine pan and wall of height the whole pan is fitted with heavy duty channels stand. Arm Rotating Mixer Muller Machine fitted in such a way that maximum bottom area is covered. Arm Rotating Mixer Muller Machine are overlapping each other. So that no material is left Un-ground. 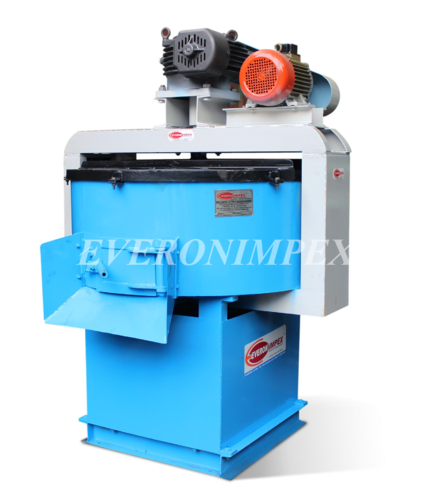 The Arm Rotating Mixer Muller Machine are running on ball bearing with sealing arrangement to prevent the powder going into rollers are driven by oil filled specially design heavy duty 2 stage gearbox and powdered by As per model electric motor complete with starter control panel and There is an available top conical type top cover.